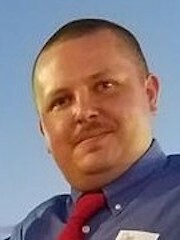 Washington – Dan Postemski, an Iraq War veteran and chairman of the Hampton Republican Town Committee, said on Wednesday that he plans to challenge Rep. Joe Courtney, D-2nd District. In a statement, the Quiet Corner Republican said he would formally announce his candidacy at a fundraiser in Vernon on April 18. Postemski filed a notice of his intention to run for the seat with the Federal Elections Commission on March 20. He slammed Courtney for joining the rest of the Connecticut congressional delegation, and most U.S. House Democrats, in a sit-in on the House floor last year to protest the chamber’s failure to consider bills that would strengthen federal gun laws. “Joe Courtney has literally sat down on the job, right on the floor of the House. That’s not how a leader makes change,” Postemski said.